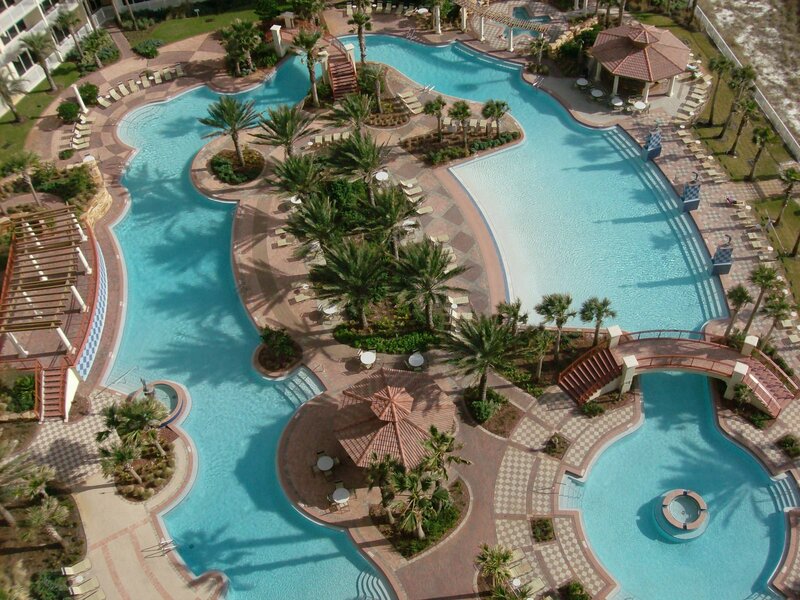 Shores of Panama is the most lavish resort in Panama City Beach. Featuring lazy river style pool, and tropical elegance, this multi-million dollar project features a three million dollar pool area, graced with a huge lagoon pool, fountains, waterfalls, two tiki bars, exotic tropical landscaping, large jacuzzi overlooking ocean, large indoor heated pool, indoor jacuzzi, exercise room, spa & fitness center, and kids activity room. With many vacation choices along the Gulf of Mexico, making the right choice isn’t easy. Shores of Panama Condos in Panama City Beach Florida is the new place where everyone wants to be. The resort has 23 stories of gulf front luxury condos offering unparalleled amenities. When you see it, you’ll know ~Shores of Panama is special. The premium furnishings in each condo provide a real comfort that make you feel right at home. And no matter what your needs are, we’ve got you covered! From our luxurious gulf-front studio suite that is perfect for a couple get a way vacation, to our spacious 3 bedroom condo, we have something for everyone!! Each layout has been designed and furnished to maximize space. The only problem is, you may never want to leave! That is, until you take in the view from each of our condos. A grand panoramic of the “World’s Most Beautiful Beaches”, Panama City Beach, Florida. You’ve never had it this good. The balcony views of the Gulf of Mexico provide an endless background of sparkling emerald waters accented with soft, crystal-white sand. And when you see it, you’ll want to be on it!